Whenever I get a collection of polishes I always get the urge to make gradients with them. Most times if they came from the same base collection they'll work together really well (even if at first it doesn't seem like they will), which is one of the joys of having the full curated collection (or at least a partially full collection). 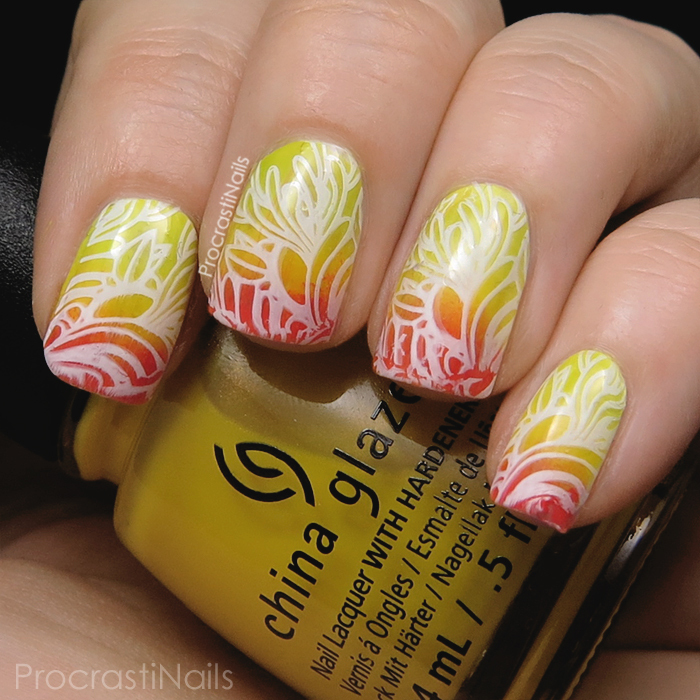 The base colours I went with today are all from the China Glaze Road Trip Collection, and I decided to stamp on top of it with a fun and flowy pattern from one of my themed MoYou London plates. Can you tell which collection the plate is from, or what kind of theme it had? Take a guess and then check under the cut to see if you're right! The exact colours I used in this look are China Glaze Trip of a Lime Time, Sun's Up Top Down, and Pop the Trunk. The stamping was done with Konad White Stamping Polish. This is just stunning! Love Moyou London plates, too! So fun! It screams summer! Lovely job! 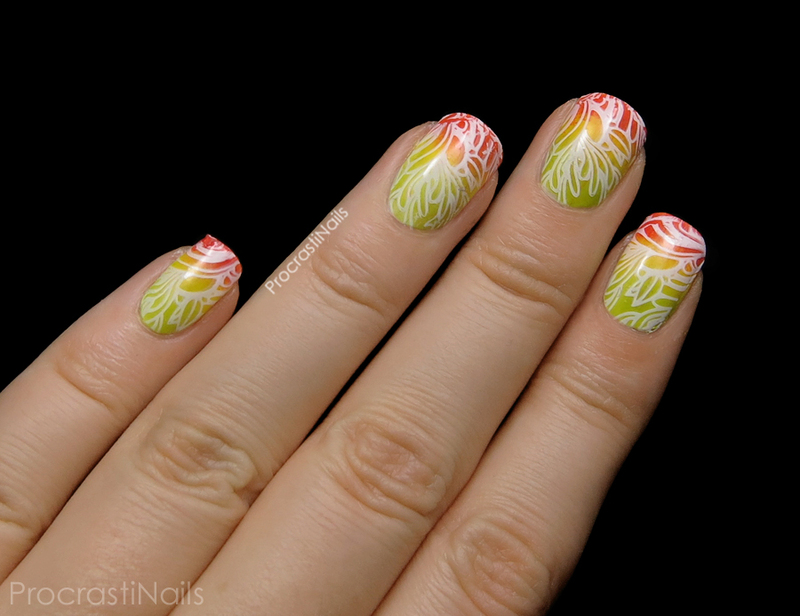 I always love stamping over a gradient base, it adds so much interest! 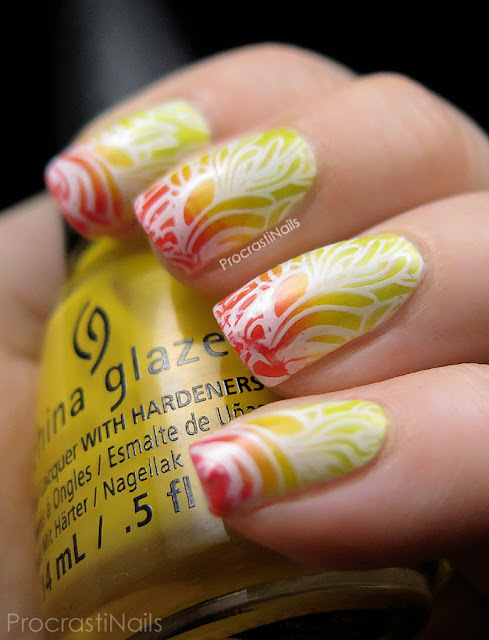 Love the gradient and the stamping looks great on top! These are so fun! I love the colors you chose! So very summer-y! 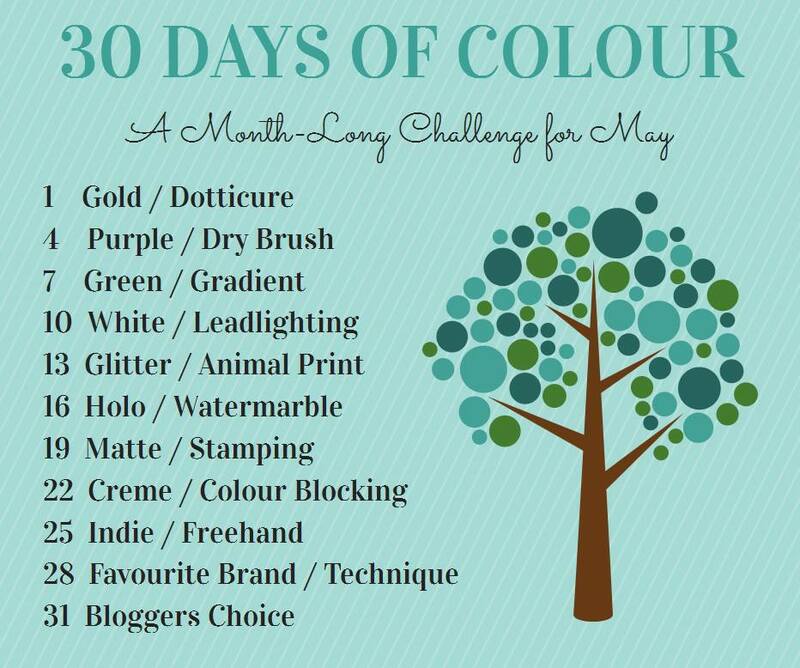 I love it :D And yes, these colours work together super well!